When you are looking around town for a butcher shop, you can either choose something ordinary, like the megamart or grocery store, or you can seek out something fine. And when you want a fine butcher shop in Woodbridge, ON, there is one place to turn – Mario’s Meats and Specialty Shop. I have been a meat cutter in some of the finest shops in Canada for more than 35 years, and I am proud to have been able to open up my own shop a couple of years ago.When I set out on my own, I had definite ideas in mind and quality standards that I will not yield to. The shop has grown in major ways over the last couple of years as we have opened the eyes of customers to the possibility of a fine butcher shop in Woodbridge, ON. Are you looking for the very best in meat selection? You will find it here at Mario’s Meats and Specialty Shop. All of the meats in the shop are done in the traditional way and are old fashioned hand cut pieces. And you will find your favorite pieces here as well. Do you like sirloin or ribs? Do you like your meat marinated or stuffed. My shop has it all and everything in the store is made by hand, including my stuffed meat specialties and homemade sausages. The shop is equally as famous for its Canadian brisket specialty. It is cooked in-house and representative of some of the finest brisket in the country. And the porchetta is a dish that you will long remember after the meal. 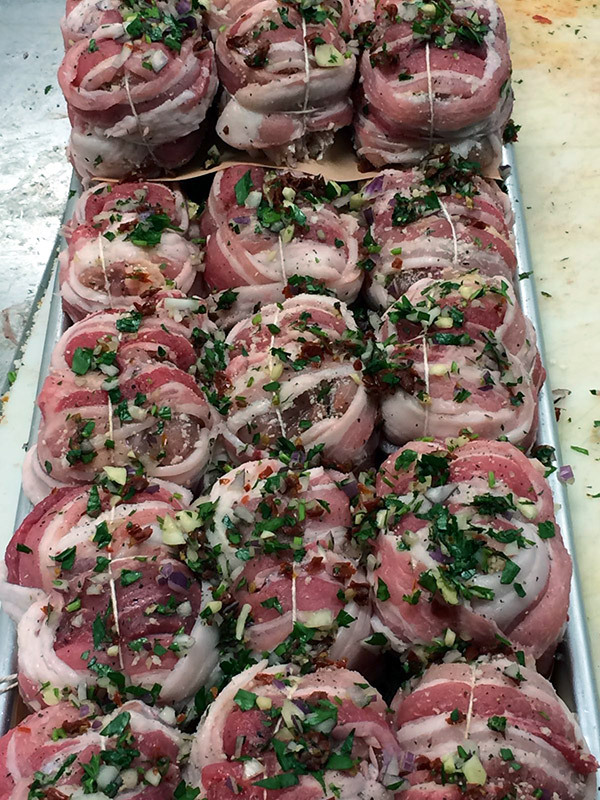 It is a classic rolled and stuffed pork roast that is at once flavorful and undeniably delicious. When you are looking for a fine butcher shop in Woodbridge, ON, give my shop a try for an experience you will remember.